Thinking of travelling Down Under? Before you start planning your trip, we have outlined a few key considerations to help you understand more about Australian visa requirements for visitors. There are a few crucial points to consider when you apply for an Australian visa. The information about complying with the conditions of a secured visa. Keeping these points in mind, you should also be aware of some other important factors when entering Australia, like what you can and can’t bring into the country (Australia has some of the world’s strictest Immigration rules on food and produce restrictions), duty-free concession limits, plus what to expect when travelling through Australian airports and seaports. To learn more on these restrictions, visit homeaffairs.gov.au. You might come to Australia for a holiday, sightseeing, recreational reasons, to visit relatives, friends, as a business visitor or for another short-term or non-work trip, like medical treatment or medical consultations. Or you might just be passing through on your way to somewhere else. Whether you are visiting for less than 72 hours or planning on staying several years, you must have a valid Australian visa. There are various types of visas available for visiting Australia. The type of visa you require, depends on a number of factors including your length of stay, your passport nationality, your current location and the purpose of your visit. If you wish to visit Australia to work purposes, you will need to meet further requirements. 1) Which Australian Visa do I need? To help you decide which visa is the right one for your trip, the Australian Government immigration website has a lot of useful information and handy tools. It is advised to research all the visa application options before you apply as there are costs involved. There is a “Find a Visa” tool online will help you decide on the correct visa applicable for your travel needs. This is especially crucial since some visas are free, but the majority come at a cost, which is charged upon application. Also, as visa application payment involved is not generally refunded, even if applications are unsuccessful, make sure you have read all the information before you commit. Ensure your details provided in your application are correct, complete and include all supporting documents to give yourself the best chance at success, and to act the most cost effectively. Otherwise, applications can be delayed, or simply refused, which can destroy your plans (not to mention cost time and money). The majority of temporary entry visas tend to be the most simple when it comes to the application process. Start by creating an ImmiAccount to apply for your visa application online which is a great time saver. You can use your ImmiAccount to submit, pay, plus manage all online visa applications in one convenient spot to easily keep track of everything (especially if you’re travelling). However, you may need more assistance lodging a visa application, particularly if your situation carries greater complexities. In those circumstances, you may require a migration agent, or potentially even a lawyer who’s registered as a migration agent, to assist and ensure the best outcome for your visa application. To protect your interests, the Australian government ensures anyone who charges for migration advice (whether fee or reward) must be registered with the Office of the Migration Agents Registration Authority. Visit the authority's website for more information and a list of registered agents, or better yet, contact your local ATAS accredited travel agent to help you organise your travel documentation and will offer guidance and support through the process. TIP: Don’t forget to be responsible with disclosure, as ultimately it’s your application and information, even if someone is helping you. If your application is approved and you’re granted a visa, you’ll be able to legally enter and remain in Australia until a stated date, or expiry date, as long as the conditions of your visa are followed. For instance, you may not be entitled to work, or may only be allowed to work a certain number of hours per week, so meet those limits. Plus, a visa might only permit you to leave and re-enter Australia a specific number of times. Alternatively, it could only allow you to enter Australia once – so check your requirements are met and know these obligations in advance. Be familiar with the rules so things run smoothly. It’s pertinent to understand and fully comprehend what your visa allows you to do. For example, simply having a visa to enter Australia doesn’t automatically entitle you to work or study, as those are specific application processes. Ensure your visa application matches the needs you have whilst you’re in Australia, as the Immigration department conducts checks with serious repercussions for those found to knowingly and deliberately in breach of visa conditions. Check your specifications and be familiar with these during your stay, as consequences can include having visas cancelled and being banned from returning to Australia for up to three years. And once your visa is granted, it’s your responsibility to keep track of your visa conditions and expiry date which is clearly stated in your visa grant letters or notifications. Keep in mind that the Government also stores information about granted visas electronically. This means that you (and others) can confirm your visa details regularly online using a free service called VEVO or Visa Entitlement Verification Online. VEVO allows the checking of your immigration status, including whether you can work or study while in Australia. And with your permission, Australian employers or other organisations can verify your visa details via VEVO to confirm your rights. Don’t forget, you’ll need to depart Australia by your visa expiry date, unless you make alternate arrangements with the immigration department, prior to your deadline. So if anything arises which impacts your immigration status whilst in Australia, you’ll need to approach an immigration officer as soon as possible. This includes requiring to stay longer than your visa allows or applying for a different visa. Once you realise your visa has expired, you need to contact the department immediately. Immigration officers are in each state or territory to help answer questions and explain your immigration options, plus additional information can be accessed via the department's website, immi.gov.au. Before you go to buy a flight through your local ATAS accredited travel agent, we recommend you review and understand the visa application requirements, make a check-list if that helps with questions to ask if you need assistance. ATAS travel agents can help you set a contingency plan for organising your Australian travel plans and any side trips to nearby holiday destinations. If you hold a passport from the People's Republic of China and are applying from within China you might be able to apply for the Visitor Visa (subclass 600) Frequent Traveller stream visa. Be a smart traveller when deciding on overseas destination vs an Australian tourist destination, understand your requirements for an Australia holiday visa. Research the Australian visa online when you plan a trip or working holiday visa for Australia. A little bit of research beforehand will help when it comes time to buy a flight and don’t forget, there is an ATAS accredited travel agent near you who can help plan and find the best deals and itinerary for you. Visit the ATAS directory to find your local travel agent. Also be sure to keep up to date with other handy recommendations within the regular ATAS blog articles – to ensure that you consider all options. These cover tourist spots in Australia and internationally that may interest you, including the best places to visit in Australia, and for your world travels. Alternatively, see this link for more travel tips, to make your life easy and your travels even better! Australia has so much to offer, so enjoy your travel down under to the fullest, as this great southern land is the place to be. 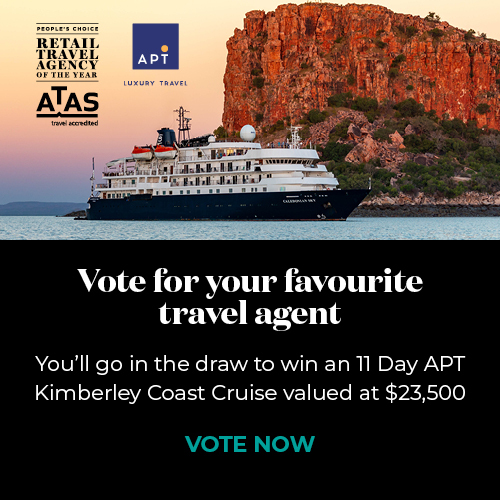 Locate an Australian based ATAS accredited travel agent who knows best here to discover more. Travel the world with expert Aussie advice and visit Australia in 2018.